Union Investment and BMO Global Asset Management are using Bloomberg’s research service to comply with MiFID II. Union Investment and BMO Global Asset Management are using Bloomberg’s research management service to handle new rules around research under MiFID II. BMO Global Asset Management has been using the service since the end of last year, and Union Investment implemented in January this year as the new regulatory regime came into force. “Bloomberg has been a very efficient interface between us and the sell-side as we all navigate this new regulatory landscape and the need to unbundle and value broker-provided services,” said Holly Anderson, investment business manager for EMEA at BMO Global Asset Management. Bloomberg’s research management solution (RMS) allows buy-side users to access, manage, value and budget for broker research and interactions, to comply with MiFID II requirements and improve transparency. The analytics and reporting tools also allow both BMO and Union to monitor and evaluate corporate access, research and sales services, alongside research valuation scorecards and custom frameworks for research consumption. Pricing and access to research have been key concerns for asset managers leading up to and following the implementation of MiFID II’s unbundling rules, which mean that the buy-side is no longer able to receive research paid for through execution commissions. Studies and surveys also suggest that the requirements have seen the buy-side’s access to research and research providers diminish in Europe. “As with all MiFID II solutions we provide, our aim is to help firms comply with minimum friction on their workflows, so they can focus on making business decisions, not on compliance or administrative tasks,” Andrew Skala, Bloomberg’s head of research solutions, commented. 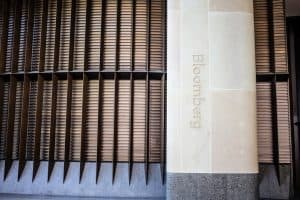 Union Investment’s chief investment officer, Frank Engles, also commented that the asset manager has been using Bloomberg’s research service for procurement, entitlement and interaction analysis, as part of the its MiFID II approach. “While the platform is new and will evolve further over time, we feel confident that the Bloomberg RMS solution comes with the advantage of a fully integrated and highly automated solution combined with a comparably high level of data consistency,” Engles concluded.